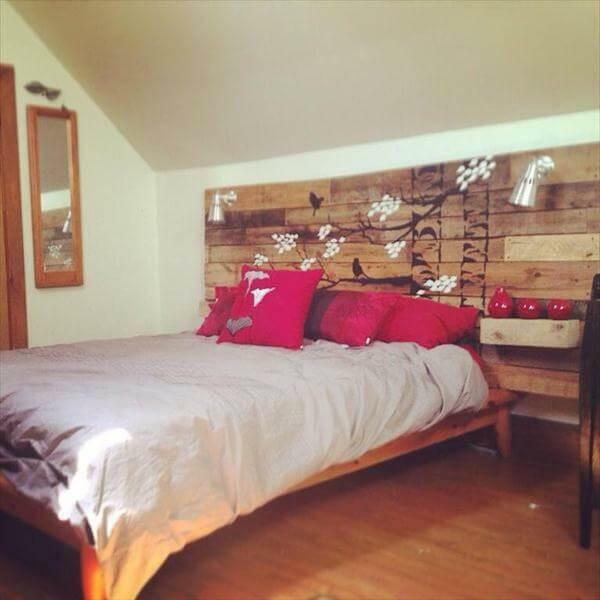 Headboards really make your beds look more elegant and visually pleasing. These accent heads of the bed come in different shapes, styles and designs to make you get with your most personal one. 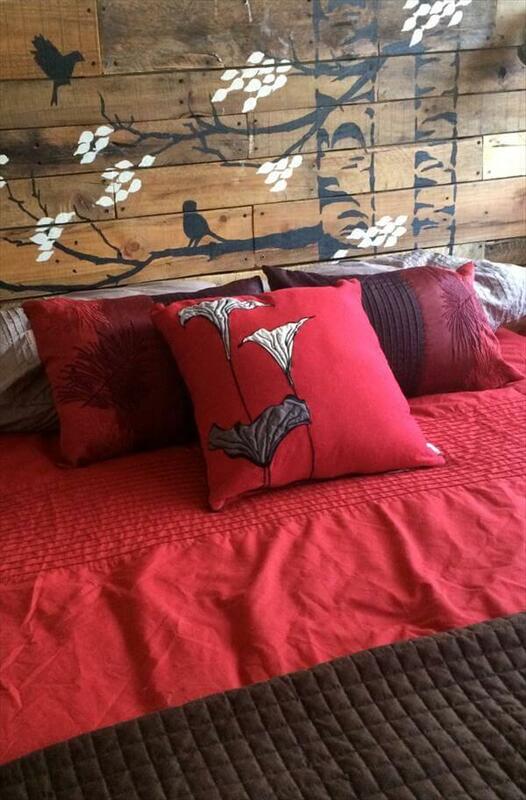 However, industrial ones have also higher rates, if you really want a no-cost headboard then have a look at this provocative DIY pallet headboard with hand painted stencil design. 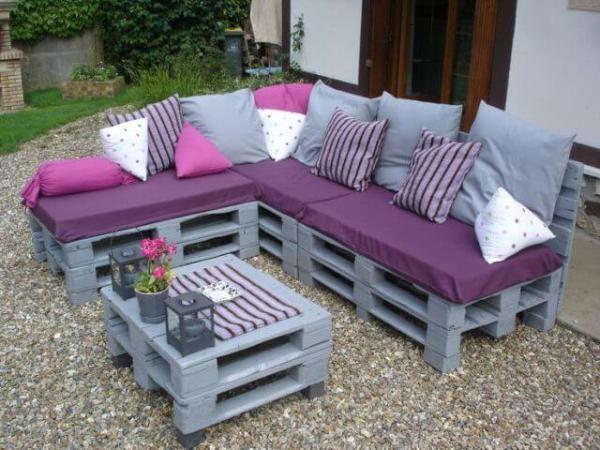 Pallet boards after a throughout dismantling have been reconstructed to gain this beautiful rectangular boards shape to serve as a head of your bed. This handmade design has further been prettify with stencil pattern to have some painted shapes of flower, trees and birds. This will surely look much dominant and overwhelming in both vintage inspired and modern bedroom interior as natural wood tone is always likeable. Use the latest hardware to make it tightly linked with head of your bed or simply put it against the wall vertically get antique styled headboard for your accent bed!! 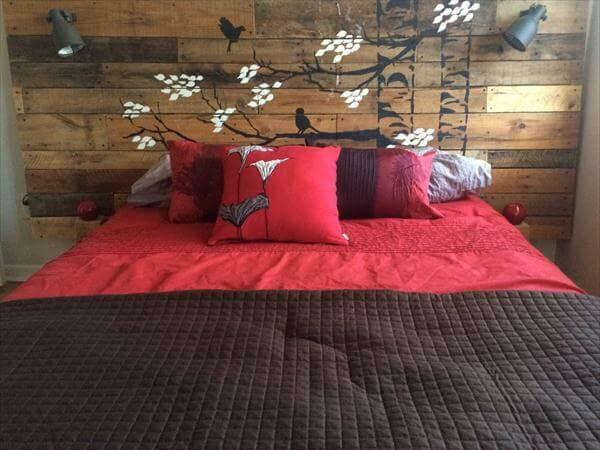 DIY Pallet Headboard with Hand Painted Stencil & Reading Lights.